LONDON’S MET POLICE have forwarded a sexual assault allegation against Harvey Weinstein to An Garda Síochána for investigation. Over the weekend, Scotland Yard confirmed that its Operation Kaguyak was investigating 14 separate claims brought by nine victims. 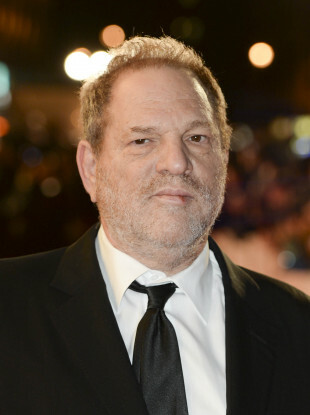 It is understood that the claims relate to producer Harvey Weinstein. The nine complaints were received by Met Police in October and November 2017. It is also understood that on 31 October, Met Police received an allegation that Weinstein assaulted Irish native Laura Madden in the Republic of Ireland in 1991. This allegation has since been passed onto gardaí. Madden had previously worked for Weinstein’s Miramax Hollywood film company and she was one of the first women to come out and make accusations against Weinstein. Madden told The New York Times last year that Weinstein prodded for massages at hotels in Dublin and London beginning in 1991. On 13 November, an alleged victim also told police she had been assaulted in Westminister in 2011 and outside the jurisdiction of the UK in 2010. Met Police said this allegation will also be passed onto the relevant police force in due course. Accusations of sexual assault have continued to pour in since the investigations in The New York Times and The New Yorker last year exposed a series of accounts of sexual predation by the film tycoon. The latest allegation from a Hollywood celebrity comes from Uma Thurman. In an interview with The New York Times last week, she said that he “attacked” her multiple times during the early stages of her career. “He pushed me down. He tried to shove himself on me. He tried to expose himself. He did all kinds of unpleasant things,” she said. More than 50 women including stars Gwyneth Paltrow, Angelina Jolie, Mira Sorvino have accused 65-year-old Weinstein of sexual abuse and harassment, though he has denied forcing himself on anyone. Email “Gardaí receive report of sexual assault accusation against Harvey Weinstein”. Feedback on “Gardaí receive report of sexual assault accusation against Harvey Weinstein”.